Hello. As a therapist committed to marriage, strengthening relationships and fostering emotional, mental, and spiritual health, I look forward to serving you. A licensed clinical social worker and psychotherapist for over thirty years, I provide psychotherapy and counseling in my San Rafael office to couples, individuals, families, and groups. My resume shows the depth and breadth of my professional experience and publications. In Marriage Meetings for Lasting Love: 30 Minutes a Week to the Relationship You’ve Always Wanted (New World Library, 2014), I explain step by step how to conduct a Marriage Meeting. The book also includes guidelines for holding these gentle conversations, three chapters that describe positive communication skills for couples and others in detail. Examples throughout it illustrate how to put my recommendations into practice. Marriage meetings have been proven to increase romance, intimacy, teamwork, and smoother resolution of issues, according to follow-up studies of couples who continue to hold them after attending one of my workshops. An instructor for continuing education classes for therapists, I have served on the faculties of the University of California Berkeley Extension, Alliant International University in San Francisco, and the University of California San Francisco School of Medicine. I’ve been an active member of the California Association for Marriage and Family Therapists and the National Association of Social Workers, providing continuing education classes at conferences and an on online NASW class open to the public. I believe in the kind of marriage that is caring and supportive. It fosters the spiritual and emotional growth and vitality of both partners. I have been happily married for over 30 years, not by chance, but because we have learned how to keep our relationship thriving while experiencing life’s ups and downs. My approach to therapy is compassionate, collaborative, and holistic. I listen with a trained ear and respond to each person’s unique situation. 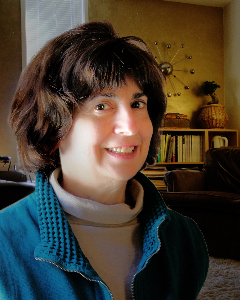 My formal education (B.A., Binghamton University; MSW, University of Michigan), extensive agency experience, and post-graduate training, including at the Family Therapy Institute of Marin and at the Tavistock training program in Berkeley, California, includes both cognitive-behavioral, process, systems theory, and psychoanalytic methods. I individualize my treatment style so as to be most helpful to each person and situation. In addition to my expertise in marriage and relationship issues, my specialties include assisting people experiencing transitions, depression, anxiety, alcoholism (Here’s my article about families and alcoholism: Homeostatis A Key Concept in Working With Alcoholic Families) and other addictions, parenting and co-parenting concerns, divorce, adoption, creativity, bi-polar disorders, and stage-of-life issues. For additional information, you are welcome to call me at 415-491-4801.